An independent part of the Health City, SPARSH Hospital was set up by Dr. Sharan Patil, a leading Orthopaedic surgeon. 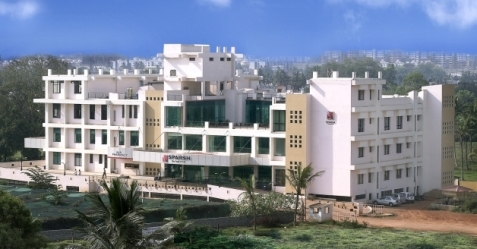 Strategically located in Bangalore, the Silicon Valley of India, SPARSH Hospital is a planned 400-bed hospital for Accidents, Orthopaedics, and Plastic & Maxillo Facial Surgery. SPARSH Hospital has grown into a vibrant specialty medical centre. Staffed by a medical, nursing and support team that have worked at some of the leading national and international medical centres, who practice the very latest in medical science, and are supported by an infrastructure that has been set up to ensure the very best in the delivery of medical care. On site world class equipment, operation suites, technology and communication systems are also leveraged to deliver quality healthcare with care and compassion. To further future proof the hospital, architecturally the hospital was designed to become a flexi hospital where the entire hospital can be converted into a mass casualty centre instantly in case of major incidents. As part of the Health City, SPARSH Hospital can leverage the services of the other constituent hospitals of Health City, further reinforcing its capability of handling any eventuality.